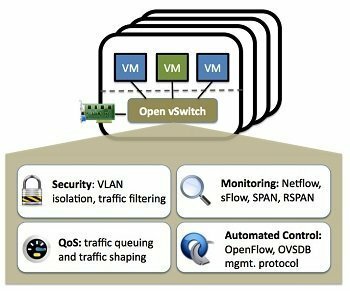 With the increasing diversity of network applications and the implementation of some converted networks, the multilayer switch is thriving in data centers and networks. It is regarded as a technology to enhance the network routing performance on LANs. This article will give a clear explanation for multilayer switch and how to use it. What Is a Multilayer Switch? The multilayer switch (MLS) has 10gbe switch and Gigabit Ethernet switch. It is a network device which enables operation at multiple layers of the OSI model. By the way, the OSI model is a reference model for describing network communications. It has seven layers, including the physical layer (layer 1), data link layer (layer 2), network layer (layer 3) and so on. 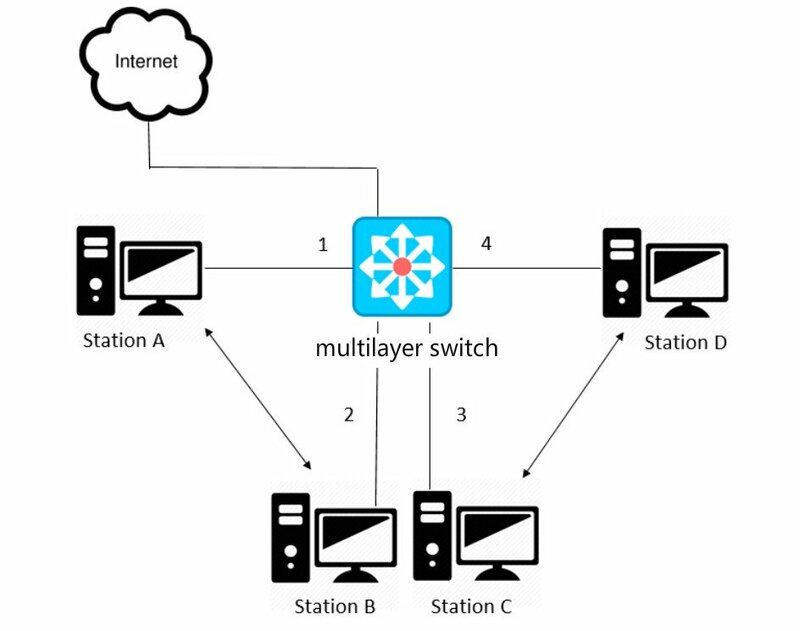 The multilayer switch performs functions up to almost application Layer (layer 7). For instance, it can do the context based access control, which is a feature of layer 7. Unlike the traditional switches, multilayer switches also can bear the functions of routers at incredibly fast speeds. In addition, the Layer 3 switch is one type of multilayer switches and is very commonly used. The Layer 2 switch forwards data packets based on the Layer 2 information like MAC addresses. As a traditional switch, it can inspect frames. While multilayer switches not only can do all the job that Layer 2 switches do, it has routing function as well, including static routing and dynamic routing. So multilayer switches can inspect deeper into the protocol description unit. For more information, you can read Layer 2 vs Layer 3 Switch: Which One Do You Need? Generally, multilayer switches and routers have three key differences. Firstly, routers typically use software to route. While multilayer switches route packets on ASCI (Application Specific Integrated Circuit) hardware. Another difference is that multilayer switches route packets faster than routers. In addition, based on IP addresses, routers can support numerous different WAN technologies. However, multilayer switches lack some QoS (Quality of Service) features. It is commonly used in LAN environment. For more information about it, please refer to Layer 3 Switch Vs Router: What Is Your Best Bet? Why Use a Multilayer Switch? As mentioned above, the multilayer switch plays an important role in network setups. The following highlights some of the advantages. Easy for use – Multilayer switches are configured automatically and its Layer 3 flow cache is set up autonomously. And there is no need for you to learn new IP switching technologies for its “plug-and-play” design. Faster connectivity – With multilayer switches, you gain the benefits of both switching and routing on the same platform. Therefore, it can meet the higher-performance need for the connectivity of intranets and multimedia applications. How to Use a Multilayer Switch? Generally, there are three main steps for you to configure a multilayer switch. Determine the number of VLANs that will be used, and the IP address range (subnet) you’re going to use for each VLAN. Within each subnet, identify the addresses that will be used for the default gateway and DNS server. Decide if you’re going to use DHCP or static addressing in each VLAN. You can start configuring the multilayer switch after making preparations. Log into multilayer switch management interface. 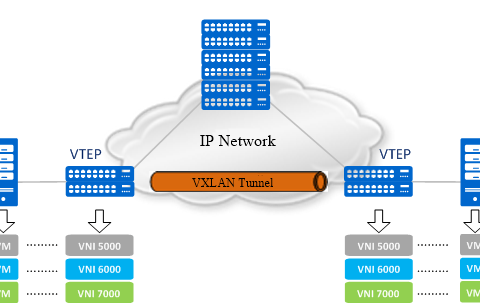 Create the VLANs on the multilayer switch and assign ports to each VLAN. After completing the second step, you still need to offer a snapshot of the routing table entries and list a summary of an interface’s IP information and status. Then, the multilayer switch configuration is finished. The multilayer switch provides high functions in networking. It is suitable for VLAN segmentation and better network performance. When buying multilayer switches, you’d better take multilayer switch price and using environment into consideration. FS.COM offers a full set of network switch solutions and products, including SFP switch, copper switch, etc. ← Modem vs Router: What’s the Difference?